Supported by a host of other excellent local acts, Magnofon will be giving away specially made Warehouse Decay samplers whilst stocks last. The event starts at 2pm and goes on until 3am – that’s over half a day’s worth of fine audio. In the meantime, click play below to check out Magnofon’s current promo mix for some seriously Deep House music. After featuring on two radio shows last weekend, we’re pleased to inform that tomorrow evening we’ll have two tracks aired on another show – Amazing Beats hosted by Mark Ryan on Amazing Radio. 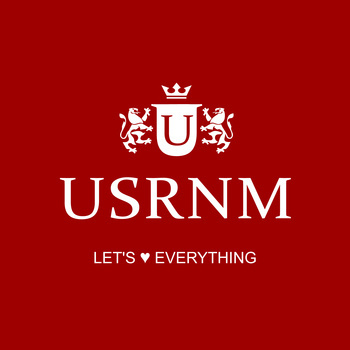 The Let’s ♥ Everything EP by USRNM is out today on Warehouse Decay. USRNM (pronounced Username) is the latest project by sound artist and musician Stuart Bowditch. Where as his previous works have been focused on the real world, responding to location, local communities and the sounds of everyday objects, USRNM delves into the virtual world of the internet, technology and machines for its inspiration. Stuart has been a musician for 20 years and a DJ for 12 of those. His DJ sets are as diverse as his musical output, which has spanned from grindcore and punk to ambient and techno. Stuart co-ran the Telephasic parties in Southend 2006-8, and has played at many diverse venues across the UK, including Cafe Oto, The Vortex, Union Chapel, Southend Library, St.Pancras Church, Cafe 1001, The Vibe Bar, Sun Rooms, Cosmic Puffin Festival, Waveform Festival and Tate Britain. He has also hosted several radio shows including Rise FM (2005-7) and Radio Nova Lujon (2012 – present). the spring (Warehosue Decay) and full length album released in the summer (Rednetic). This evening will see a double header of radio shows featuring currently unreleased material from Warehouse Decay Recordings. Firstly, kicking off at 7pm (UK time), Stuart Bowditch (USRNM) is hosting a radio show called ‘A Place and Time For Everything’. The show will last three hours and it will almost certainly include something from his forthcoming WDR EP ‘Let’s Heart Everything’, out Monday 22nd of April. At last, we have more than one mix on our ‘mixes’ tab! Magnofon has put together a seriously Deep vinyl only mix including sounds from the likes of Dubbyman, Fabio Monesi and Baaz to name but a few. We’re currently working with a host of talented artists on future releases for Warehouse Decay. One such is Stuart Bowditch under his USRNM moniker with an EP called ‘Let’s ♥ Everything’, which will be out on 22nd April. “USRNM (pronounced Username) is the latest project by sound artist and musician Stuart Bowditch. Where as his previous works have been focused on the real world, responding to location, local communities and the sounds of everyday objects, USRNM delves into the virtual world of the internet, technology and machines for its inspiration. We’re pleased to announce that our releases will now also be available from Bandcamp as well as Juno. We set up the page so that listeners can now hear the tracks from our releases in full via Bandcamp’s high quality streaming. The full EP or individual tracks can be downloaded in a range of formats to suit. Generally, our releases on Bandcamp will usually be slightly cheaper as these are ‘direct’ from us. For The Flow includes Devroka’s title track and a ‘B’ side called Up & Rising. Both pieces are influenced by the old-school Chicago House sound. For The Flow pits deep bass and synth chords with spoken word vocals. Up & Rising kicks a little harder and has stronger melodic lines, also featuring a field recording as a background accent. On the ‘flip’, both tracks are given remix treatment by Magnofon: For The Flow goes very deep with slower, jackin’ percussion and chopped up string instrument sounds and the Up & Rising remix gives the track a deeper feel whilst still retaining the potential for dancefloor play.